Break Free From the Affair Review: Can You Really Break Free? Break Free From the Affair by Dr. Bob Huizenga: Can You Really? Before reading Break Free From the Affair by Dr. Bob Huizenga, I wondered if there was a resource out there that could help folks just like you. People who are dealing with the pain and anguish of an unfaithful spouse, learn how to identify the types of affairs and understand why their spouse cheated on them. Why? Because if you’re like most betrayed spouses, like I once was, you’re probably blaming yourself for your spouse’s actions. If you want the answers to why your spouse cheated, the Break Free From the Affair book does a great job of taking you through the process of identifying the type of affair your husband or wife is having or had. Because once you can identify the nature of your husband or wife’s affair, it’ll give you the clarity to know what you need to do in order to save the marriage. I like to review products that I feel would help my readers deal with this painful experience they are going through. 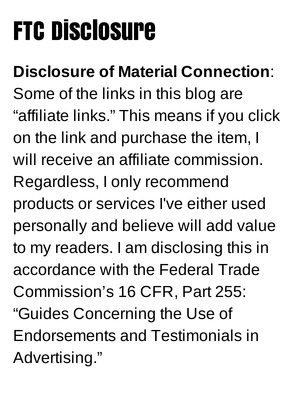 And when possible, I like to actually read the product for myself before recommending it. So I asked Dr. Hob Huizenga for a copy of his flagship ebook and he emailed me a copy. Usually, this is a good sign, as it shows someone who truly believes in the value of what they sell, so that’s a good thing always. What is the Break Free From the Affair Book? The main purpose of your guide is to give you well-thought-out and time-tested strategies to break free from the affair and rebuild your life in the shortest time possible. I think you’ll agree that affairs and relationships of the heart are complex subjects and each person’s situation is different. However, there are certain patterns or commonalities that run through affairs regardless of the circumstances involved. The book is broken down into four main sections plus the Appendix. Dr. Huizenga suggests that you start out with the appendix then move on to the “Identifying the Type of Affair Facing You” section of the book. The introduction and the first two chapters are short, but they set the stage for the next two sections that comprises the meat of the book. Below are the major highlights of this ebook. Shows that he understands what you are facing right now. Your challenges. Feeling all alone. Dealing with the pain, anger and negative feelings. He lets you know that you don’t have to remain stuck in this condition forever. Break Free From The Affair can help you get through it. Some pep talk here to boost your confidence and make you feel good. Very short chapter. Again, Dr. Huizenga is setting the stage for what’s to come later on in the guide. Basically tells you the best way to go about reading the book to get the most benefit. It encourages you to just pick a couple of tactics to work on at a time, so that you do not become overwhelmed and discouraged. This was the most interesting and eye-opening part of the book for me and is a resource I wish I had when I was dealing with my husband’s cheating. This is a soul-searching experience with a lot of thought provoking questions. Dr. Huizenga suggest that you should go through this section quickly the first time around making note of the differences between the types of affairs. Note what jumps out at you and write down or make a mental note of a few tactics that you can use for your particular situation. To me this is the most important part of the book, because once you are able to identify the type of affair your spouse had or is having, you have all the necessary ammunition to “move through the affair with more knowledge and power” and also to drastically cut down on the time it takes in healing after an affair. This part of the guide is in two sections. You’ll learn some very powerful strategies here to stop the affair and the 4 key words to focus on that will become your daily mantra. When you follow through with these suggestions, you’ll find yourself feeling better day by day. Plus, your wayward spouse is bound to notice the changes. We may not mean to, but oftentimes we do or say things that sabotage our happiness. For example, trying to argue, reason or plead with your cheating spouse. It does not work. Dr. Huizenga warns you about this and other unattractive tactics that do nothing to stop the affair and bring your spouse home. This is not to beat you up or make you feel bad, but just to save you from wasting time, energy and emotions on doing unproductive things. I really like the way Dr. Huizenga dissects each type of affair and he even gives you the odds of saving your marriage for each affair type. You have to dig deep inside you and really be honest with yourself in answering the questions raised in that part of the guide. Many times when people discover that their spouse is cheating on them, they don’t know what to do next. This guide is a good first step in the recovering from infidelity process. Dr. Huizenga also offers one-on-one coaching if you just need a listening ear. If you want to have a REAL chance of stopping the affair, and want to know the right words to say that will shake your partner to the bone so he stops to truly consider the folly of his actions, then you should seriously consider buying this guide. While I love the way Dr. Bob Huizenga goes into detail about recognizing and dealing with the seven types of affairs – this subject is the meat of the book – there are a couple things I need to point out. Firstly, Break Free is written primarily for the betrayed spouse and what he or she needs to do to get unstuck from all of the negativity and rebuild self-esteem and confidence. However, the cheater can learn a thing or two by also reading this book. If nothing else, it’ll help them to understand how their partner feels and as well as figure out why they cheated. With the book focusing so much on the types of affairs leads me to conclude that it would be most beneficial for the injured spouse who just found out about their partner’s cheating. Because it is at this stage that you’ll most likely want to know what made your spouse have an affair. Still, if you’ve been dealing with infidelity in your marriage for awhile, or even years, you will find this book very helpful. For one thing, it will help you to gain a better understanding of your cheating spouse’s behavior. Also you may discover unattractive behavior that you’re engaging in that is pushing your spouse farther away instead of healing the breach. Lastly, Dr. Huizenga does not specifically address rebuilding the marriage. But let me quickly add that the whole premise of Break Free From the Affair, is to get you in shape first. Because only then you’ll have the strength and presence of mind to tackle the issue of repairing the marriage. What Do Real People Say About Break Free From the Affair by Dr. Bob Huizenga? It’s always helpful to hear about other people’s experience using the product that you’re considering buying. Because it gives you an idea of how it can help you also. Here’s some comments from some satisfied customers of Break Free From The Affair. “Your e-book is not only helpful, but life-changing. The paranoia that gripped me, including the suspicions, the doubts, the desire to harm the “OP” (you know, physically hurt him to teach him a lesson), and the emotional pain that went along with all of that have subsided to the point where I can look at my wife as a hurting individual. I understand that I am not to blame and that the only person I can change is myself. I also understand that I did have a role in “pushing” her away, although her choice to deal with it was a “crappy” one. What Else Should You Know About the Break Free From the Affair Ebook? Firstly you should know that this book is not a panacea for all that ails your marriage so don’t expect all of your marriage problems to vanish into thin air. The information presented in this guide is time tested and is proven to work. If you prefer talking to someone rather than reading, Dr. Bob has got you covered. He offers one-on-one coaching sessions over the phone. The coaching is anonymous, so you are free to bare your heart and soul and get answers to your most pressing questions right away. Bonus #1: How To “Get Over It” For Good – Learn how to safely and constructively talk about things that are hard to talk about. Bonus #2: The Cheating Spouse Guide – In this guide you’ll learn some very effective ways to find out if your spouse is cheating on you. Bonus #3: Break Free Newsletter – You’ll receive this monthly newsletter chock full of helpful articles, tools and resources to give you that boost to keep you going. Bonus #4: Keep Your Marriage: What to do When Your Spouse says, “I Don’t Love You Anymore” – This is a specially adapted abridged E-book version written for you by Nancy J. Wasson, Ph.D. and Lee Hefner. Bonus #5: Dr. Huizenga Live Coaching Sessions in Audio Format – Get hours of live one-on-one coaching with those who face the most powerful feelings and confusion surrounding infidelity. Bonus #6: Trial Telecoaching With Dr. Huizenga (limited time ONLY, can be removed at anytime) – You’ll receive a free 15 minute phone consultation with Dr. Huizenga where you get to ask your questions and get emotional support. 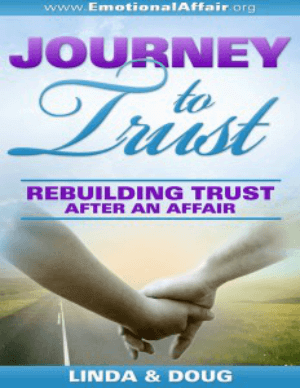 Healing after an affair, takes work and time, a long time. In fact “most studies indicate it takes two to four years to move completely through an affair, healing the feelings and reconstructing your relationships.” People, affairs and marriages are all very complex, but the program does work if you are willing to put in the hard work necessary. Dr. Huizenga has helped thousands of couples rescue their marriages from the brink of extinction, you can read some of their stories on his website. The real question though is: will “Break Free From the Affair” work for you? Well, that depends on you and your spouse and your commitment to your marriage and each other. This is not a book that you just read once and then put down. No, I can guarantee that you’ll have to read it more than once, and not only read it but implement the suggestions and strategies, applying them to your own unique situation. If you and your spouse want to, you CAN make it through the affair and make your marriage better and yourself better. Break Free From the Affair comes with a 60-day 100% Money Back Guarantee, so if at any time within the next 60 days you find the material not helpful, your money will be cheerfully refunded to you and you can keep the book. You can’t ask for more than that now an you? Click here to try Break Free From the Affair for yourself from the official website.